To celebrate the completion of my "Cool Girl" art series, I've made a t-shirt design that emulates the pop-art vibes that are seen in each "Cool Girl" art piece. If you've ever wanted to support my art without breaking the bank, this is a great way to do just that! Limited Time Only. Orders close March 31. “Cool Girl” is a series of acrylic paintings by Josie Koznarek. Cool Girl #10. Acrylic on glass. 28" x 41". . By far the largest of the set. I wish all of them could have been this big. It is a playful, tongue in cheek recognition of the current cool girl aesthetic and both the vapidness and the beauty that comes with it. Cool Girl #7.2. Acrylic on glass. 10" x 8". . Redid the shoe one by scraping off the paint and totally changing the design. You can go back in my timeline to see the original Cool Girl #7 and decide for yourself if it was working or not. Many people desire to support the arts and fine artists, but don’t have a concrete or feasible place to start. Cool Girl #2. Acrylic on glass. 20" x 16". These t-shirt, sweatshirts and hoodies are a new starting point. 20% of the money you are paying for this merchandise goes straight to supporting Josie, and helps compensate her for the time and effort she spends creating all her artistic pieces. 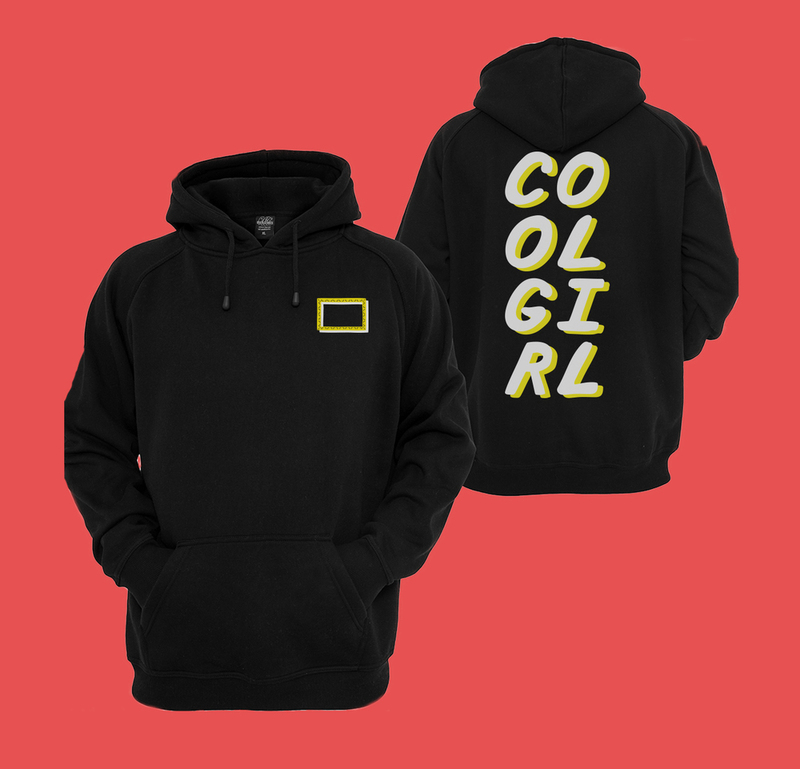 So rep these “Cool Girl” clothes proudly, knowing that by doing so, you’re helping Josie continue to do the work she loves to do. Check out all of the "Cool Girl" art pieces and more on Josie's Instagram @jkoznarek! Design © 2017 Josie Koznarek. All rights reserved. This design, including all phrases, art, photography, and graphics, may not be sold, reproduced, displayed, modified or distributed without the express prior written permission of the copyright holder.